I’ve only seen Pringle’s packs being used for snoots, but one day I had the idea to use a Pringle packet for a strip light. Obviously it is limited for size, but it is very versatile. I’m sure I’m not the only one to have had this idea, but I haven’t seen any tutorials for it so far, so thought I would make one. 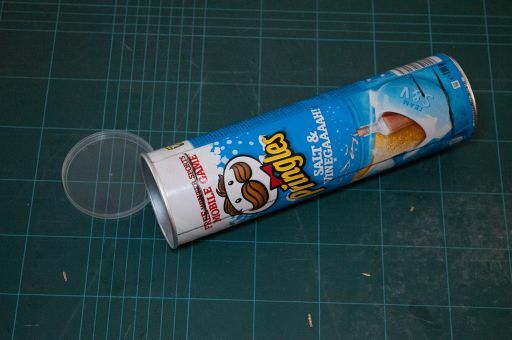 Mark out a rectangle running the length of the Pringle’s packet. Main Body – Cut the rectangular section out with a knife. 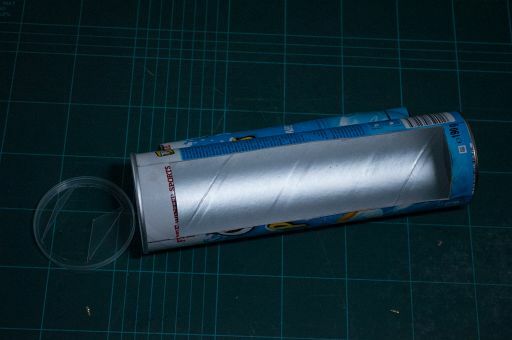 Lid section – use your flash to mark out a rectangle on the lid, and cut that out. Make sure to leave 2 triangular flaps. These will act as grips. Measure out the piece of fabric, cut and fix into place with the gaffa tape. Finish by covering as much of the main body as you wish with gaffa tape. 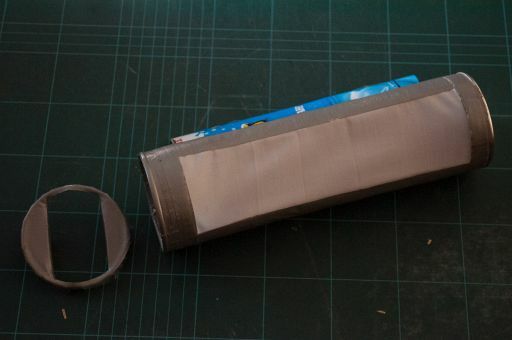 Cover the lid with gaffa tape and cut where needed, to minimize light leakage. And there you have it. 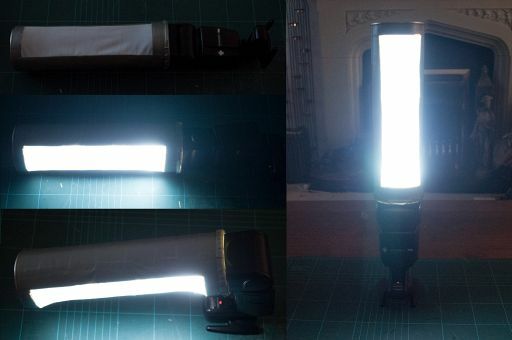 Attach the newly made strip light to the top of the flash, and notice how you can swivel the main body to face different directions. Here are a couple of examples of its use. In the first image I placed the strobe above the subject. 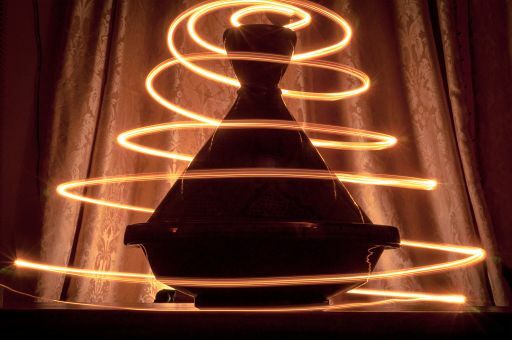 In the second image, I use the strobe as the background light, The Pringle’s strip light was horizontal and facing up. 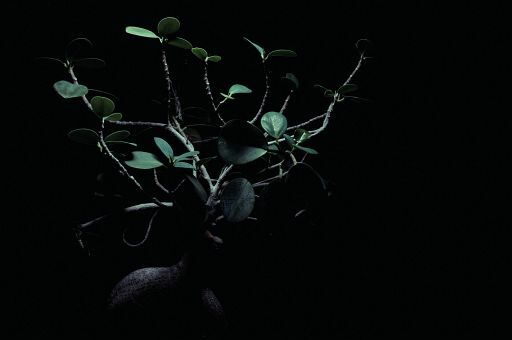 Owen Harvey is a 3D artist and have been snapping pics from 2007. He lives in the countryside just north of London. You can follow him on Flickr and visit his web page here. Great idea… I wonder how does it look for portrait ? 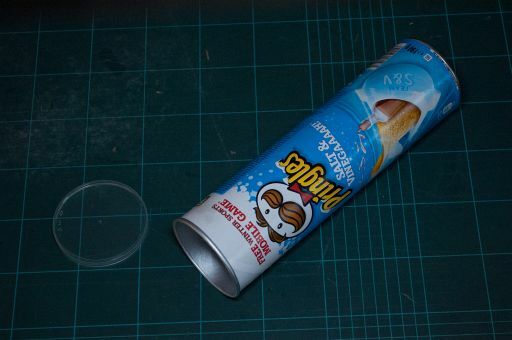 I decided to try it with my yongnuo 560II (a canon 580 size i think) and the diameter of the pringles can is too small. Which flash did you use? I found a better way for the 560 ii now :D. Just press the opening to a rectangle and the flash head will fit really well. That is some true ingenuity. I’m thinking of getting a 560 II to go along with my 460 II, would you recommend it? The saberstrip looks great, but for product photography there aren’t many small strip lights available. You don’t need a 3 feet long strip light to light a watch. There’s no doubting that it’s a great quality product, but for many photographers – especially those who just bought their first off-camera flash and need to replenish their bank account – even $135 plus shipping is a steep price to pay to improve the quality of their shots. Everyone has to start somewhere; no one starts from the top.